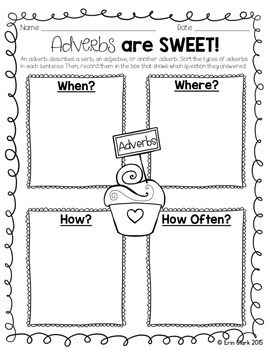 This activity will reinforce the role of adverbs in a sentence, and the different types of adverbs that can be used. 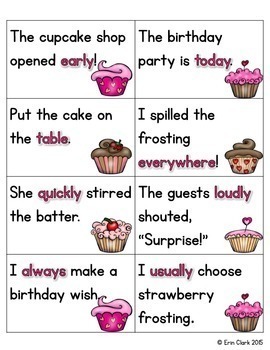 This activity can be done whole group, or independently! 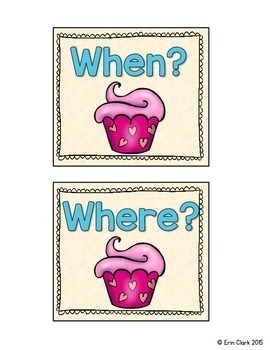 Laminate and cut out the sentence cards and sorting mats. Each sentence has a different type of adverb highlighted (describing either WHEN, WHERE, HOW, or HOW OFTEN?). 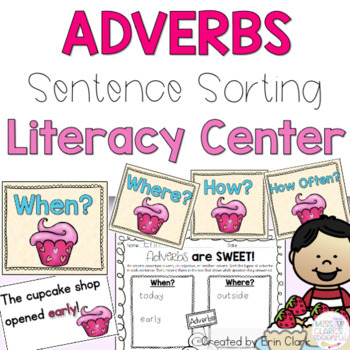 Students will read a card, identify the adverb in the sentence, and sort onto the matching sorting mats. When finished sorting, students complete the corresponding recording sheet.